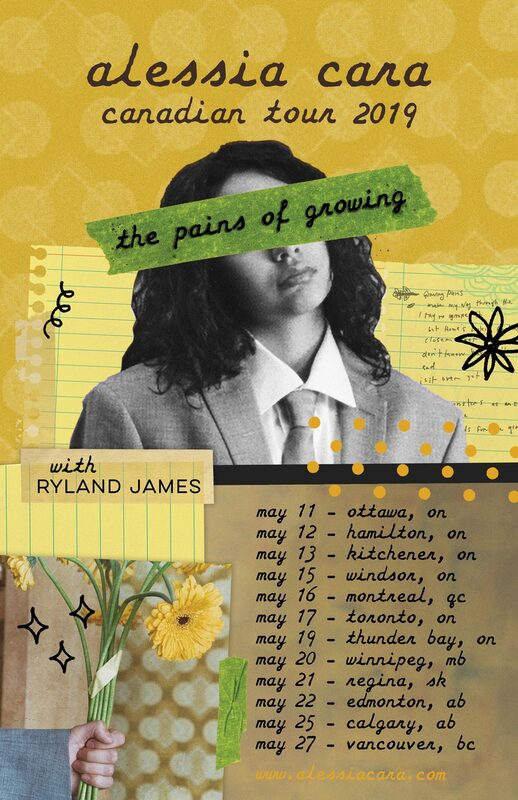 31 January 2019 (Toronto, ON) - Juno and Grammy Award winning Multi-Platinum Canadian singer-songwriter Alessia Cara has announced The Pains Of Growing 2019 Canadian Tour, kicking off in Ottawa, ON on May 11. Tickets for all dates will go on sale Thursday, February 7 at 10am local time at www.livenation.com. See the full list of Canadian dates below. Yesterday, it was announced that Alessia Cara has been nominated for three 2019 JUNO Awards including Artist Of The Year, JUNO Fan Choice, and Single Of The Year for “Growing Pains” – the first single off her sophomore album, The Pains of Growing. 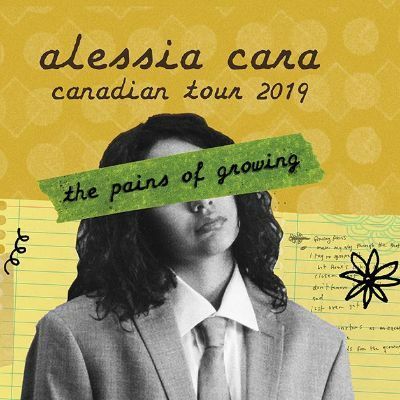 Alessia released The Pains Of Growing to unanimous critical acclaim on November 20 via Def Jam Recordings/Universal Music Canada, the country’s leading music company. The self-penned, auto-biographical 15-song album chronicles Alessia’s personal experiences over the past several years. Alessia emerged onto the music scene in 2015 with her global anthem “Here”, which grabbed the world’s attention when it garnered over 500,000 streams on Soundcloud in its first week and went on to become Spotify’s Most Viral Song of 2015 selling over 3 million copies. A five-track EP, Four Pink Walls, soon followed before the release of the full-length certified platinum KNOW-IT-ALL. Alessia lent her voice to “How Far I’ll Go”, the official song for Disney’s animated film Moana, penned by Lin-Manuel Miranda. Her multi-platinum #1 hit single, “Scars to Your Beautiful”, is Cara’s gut-wrenching take on female identity, on body image, and on deleterious behaviors in the name of beauty. “Stay”, her #1 hit with Zedd, has sold over 2 million copies and was named the “Song of the Summer”. “1-800-273-8255”, her recent #1 smash with Logic, went platinum 5x, contributing to her 6 global smash hits and 8.5 billion streams worldwide. She was one of the most streamed new female artists of 2017. She recently released her sophomore album, The Pains of Growing, won the MTV EMA for Best World Stage Performance, and received three nominations for the 2019 JUNO Awards.